A thief named Cobb (Leonardo DiCaprio), who specializes in obtaining information through dream sharing, is hired to do the impossible: implant an idea in the mind of a young CEO named Robert Fischer (Cillian Murphy) and convince him it was his own, a process known as Inception. Director Christopher Nolan creates a fabulous dream world in his film "Inception." Leonardo DiCaprio stars as Cobb, a thief who specializes in stealing information. He uses people's dreams to commit corporate espionage. Joining DiCaprio are Joseph Gorden-Levitt as Arthur, Cobb's partner and friend, Ellen Page as Ariadne, the architect who builds the dream worlds, Tom Hardy as Eames, the forger who can impersonate other people in dreams, Dileep Rao as Yusuf, who is the chemist that creates sedatives to keep subjects asleep, Ken Watanabe as Sato, their client, and Cilian Murphy as Robert Fischer, their subject, who must have an idea implanted inside his dreams. Add Tom Berenger, Marion Cotillard, Pete Postlethwaite, Lukas Haas, and Michael Caine into the mix, and this is an extraordinarily brilliant cast of characters. Separately, all of these actors are excellent, but together, man, they flesh out a true all star, wonderful cast. "Inception" messes with the viewer's perception of reality as it creates dreams within dreams, leaving what's real and what isn't somewhat open for interpretation. The rules created for the dream world change throughout the film to fit the story rather than the story changing to fit the rules. How do we know this? Because it's explained to us through a lot of exposition and hand holding. Nolan loves his exposition, explaining how everything is supposed to work at any given time and pretty much constantly throughout this movie. 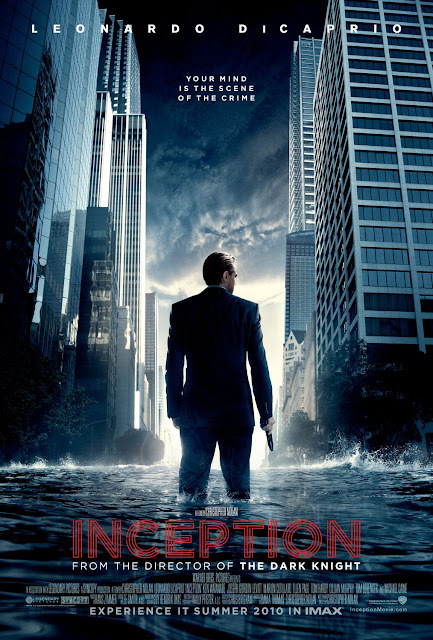 Despite the overall flawed nature in the way it's presented, "Inception" still manages to be an amazingly entertaining piece of cinema. The visuals are outstanding as practical effects and CGI are blended seamlessly to create a convincing dream world. We love how Nolan favors practical effects over everything else, and the way he is able to create this integration is simply amazing. The story is inventive and engaging despite its convoluted nature. We never feel ourselves getting bored or tired of the story, but we do get a bit tired of how the rules of the games are changed mid-movie. The acting, like we mentioned, is great from everyone involved. The pacing is very good and even though it has a long run time, it doesn't feel like it's nearly two and a half hours. Overall, "Inception" is a fun and entertaining ride that offers a visual spectacle to delight the senses. One year ago, we were watching: "A Few Good Men"